The sea to the front and the Apuan Alps behind form the background to the Hotel, which is just 100 meters from the beach and the centre of Marina di Massa. 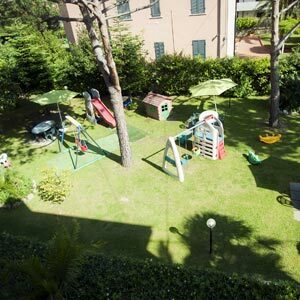 The Hotel Parma Mare is run directly by the owners, who, caring, create a relaxing family atmosphere which allows its guests to pass a really pleasant stay. 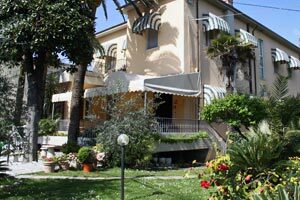 The hotel is an oasis of tranquillity, immersed in the green of a huge garden (2,000 mq) which is divided into a ‘solarium’ area with sun beds and sun umbrellas, and a ‘relaxing’ area with tables and chairs under the shade of the old pine, magnolia and palm trees. In a part of the garden a play park for children has been created. At the back of the establishment there is a large private car park. 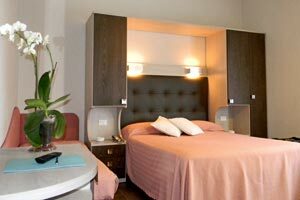 The bedrooms are spacious, bright, with all the comforts a modern hotel can offer. They are equipped with telephone and Internet connection, satellite TV, air conditioning and room safe. The food offered changes with the seasons. 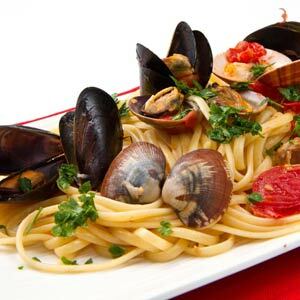 On the menu typical specialities of Tuscany and Emilia Romagna alternate. Every day the chefs offer a menu of meat and fish accompanied by a rich buffet of starters, vegetables, salads, and… daily surprises, in addition to the numerous desserts. Particular attention is given to young children, who can ask for a menu to suit their tastes. A buffet breakfast is served in the hotel restaurant or in your room. A buffet breakfast is served in the hotel restaurant.